One of the biggest issues I have with the network marketing industry is the deceptive recruiting techniques used by many distributors. While I love the industry, I am really angry with all the lies and deception going on in our industry. While most of the people in our industry try to do the right thing, we do have a few bad apples that ruin it for everyone. Yes, that is normal in EVERY industry, but I would still like to see it stopped. Some distributors will say or do anything to sponsor a new distributor or get a new customer. They will use all the fancy words, buzz phrases, hype, pressure, and lies to get someone to fork over their credit card and sign the distributor agreement. Most of these folks are only concerned about making money quickly and they have little concern for their prospect. And other distributors are simply misinformed or uneducated about what they can and can’t say to a prospect. They are either new or inexperienced or haven’t been trained properly. Other than the high failure rate in our industry, I believe we get a bad name because of the deceptive recruiting techniques that so many people use. Here are some examples of what I consider deceptive recruiting techniques, so we are on the same sheet of paper. If you are doing ANY of these things I would encourage you to stop it immediately! Personally, I’ve always believed in being honest with your prospect. It’s okay to be excited. That’s a good thing. But you shouldn’t mislead or intentionally deceive your prospect just to get them to meet with you or just to join your team. Don’t tell them what you think they want to hear or “stretch” the truth to get them to join. You have to remember that what you do affects everyone else in our industry as well. We are all ambassadors to the industry. One bad apple can really ruin it for a lot of people. I say that because that because if you deceive your prospect, they will be upset and they will talk to everyone they know, telling them how much of a scam our industry is (and you are). Or, they will go online and set up a blog designed to share their negative opinion of MLM with others. At the end of the day, you need to do the right thing. If you are currently using deceptive recruiting techniques with your MLM business opportunity, I’d like to ask you to stop doing it. If your team is doing it, make them stop. From this day forward, make it a point to always be honest and tell the truth. Do the right thing. Your business opportunity and products are already good enough. There’s no need to lie or mislead people. If you’re going to promote your business opportunity, promote it as a business opportunity, not a job listing. If you’re going to meet with someone, don’t lie to them about the purpose of the meeting. If you’re going to talk about the earnings potential, make sure you reveal the average earnings per distributor and also talk about how much work is required to make big money. If you’re going to talk about the products, don’t make medical claims! The bottom line is to follow the Golden Rule. Treat others as well as you would treat your own parent or child. Be a professional at all times. Never lie or deceive your prospects, just so you can benefit monetarily. Our industry needs more professionals! Make a commitment to be a network marketing professional. It will be the best career decision you ever made! You’ve published some great posts, but I think this is my favorite! I think this is one of the biggest things holding people back from network marketing. Someone lied to them. They made it sound too good to be true, or led them to believe they were going to make more money or make money quicker than they actually did. I’m so glad there are still business professionals out there like yourself who value honesty. Be honest with people and you can’t go wrong. I’d rather tell someone the truth and lose them then tell them a lie to get them to join. You know Chuck, I do believe that if everyone in Network Marketing that believes in using the Golden Rule would band together to wipe out those who are using deceptive practices, it would help the whole industry immensely. It is up to mentors and sponsors to really teach their distributors that deception will hurt and they should punish, or drop individuals using those practices immediately. I do believe some don’t do deception on purpose, it was how they were taught. I believe MLM companies need to “police” their own people closer. They need to be willing to drop anyone who is using improper methods and techniques. True. I believe in treating people right myself. What our industry needs is more professionals. As of late, I have been receiving loads of emails that are from network marketers using very deceptive practices. The fact is: they must be doing it with many people because these emails go straight to my spam folder. I have considered replying to some of these deceptive ones and sending them a copy of this link, but I must ask you first. I don’t want to create any kind of problem or have these people trying to spam this website. I also have another system that I use with some of these people that get overbearing. It is called spam it back, and the program send approximately 1-2,000 pieces of mail to their website in approximately 1 minute. I don’t use that often, but when some of them are at the edge of being illegal in their practices, it is a good way to slow them from attacking people. That sounds like a good program if it can send them that many messages. Maybe it will make them reconsider what they are doing. I love this post. 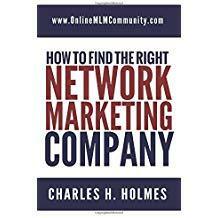 It should be mandatory reading for all network marketers. Personally, I believe this is the top reason network marketing has received a “bad rap.” I have been deceived before with lies, and hype. When I met you Chuck, I found someone with a new and better approach that helped me gain trust and respect for network marketing again. I was deceived by an ex-boss from a construction company I worked for in the St Louis area to join a company I will not name. It wasn’t the company’s fault, it was his. He lied and took advantage of me when I was at a very low point in life (my wife of 30 years had just died). I also watched a family member of my love (Maggie) get deceived and had a storehouse of vitamins and supplements he would never be able to use because of a deceptive rep. (Manuel is mentally handicapped, and the rep saw that and used it). Yes, I hope these practices are halted. I personally believe that those using deception should be lawfully punished. I tell everyone to just do the right thing. Follow the Golden Rule! I too have fallen victim to a deceptive network marketing representative who was far more focused on profiting off of others than he was with the effect it would have on the individual or the way his actions impacted the reputation of the company itself. In my case I was also quite vulnerable and unfortunately people who are untrustworthy are often preying on vulnerable individuals. It is sad that some people will ruin it for the rest of us, but if we do our jobs honesty and with integrity we can help restore the good name of network marketing. The secret is to do the right thing, not try to make a quick buck! All of these tactics just make people lose respect for you as a person and a business leader. No one really wants to go into business with someone who misleads them from the very beginning. It only leaves questions about what else you might be lying to them about. Honesty works; even if the honest answers are not the most appealing answers. People will respect you and trust you, and that is the best foundation for any business relationship. I just tell folks to be honest and keep it real with people.